When you use a candle for the first time, make sure to leave it burning for around 2 hours. This ensures that the wax melts completely, so you can enjoy a full, deep experience of the candle's aroma. Before every use, trim the wick to a length between 1/8 and 1/4 of an inch. An untrimmed wick will burn less effectively, and the flame and aroma will be weaker. A long wick will also create more smoke and leave stains on the candle holder. You can use a special wick trimmer, but you can trim the wick just as well with small scissors or even nail clippers. The more the wax melts, the stronger the aroma will be. 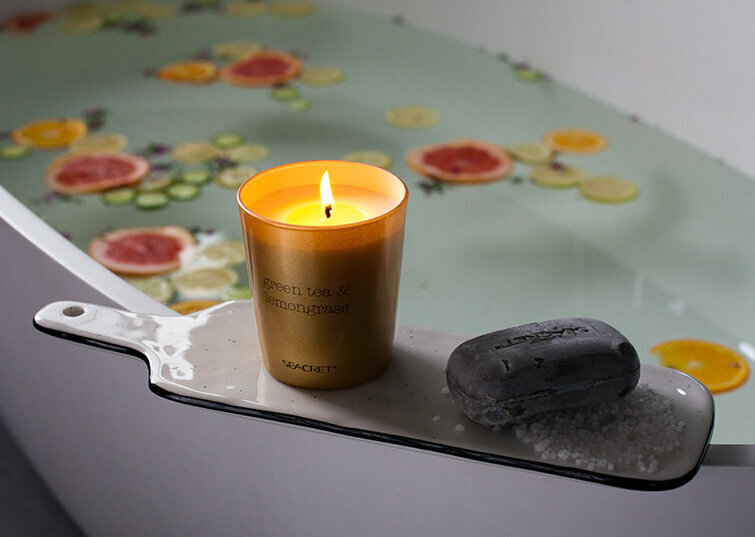 Make sure to let the candle burn for longer periods, giving it enough time to warm up and produce a deep aroma. The ideal burning temperature is 22-24 degrees. Below 20 degrees, the candle will burn too slowly and the aroma will be weak. Allow the candle enough burning time to melt all the way across, so the wax surface stays flat and even. If you burn the candle for just a short time, it will only melt around the wick, creating a small tunnel in the center of the candle. Eventually, this tunnel will deepen, making the wick difficult to reach. Don't burn the candle in any type of breeze, such as fans, air conditioners, open windows, or in hallways or places where people are constantly walking past. These can cause the flame to move, which means the candle won't melt evenly. A breeze can also cause the flame to touch the sides of the candle holder, which may lead to unsightly black stains.